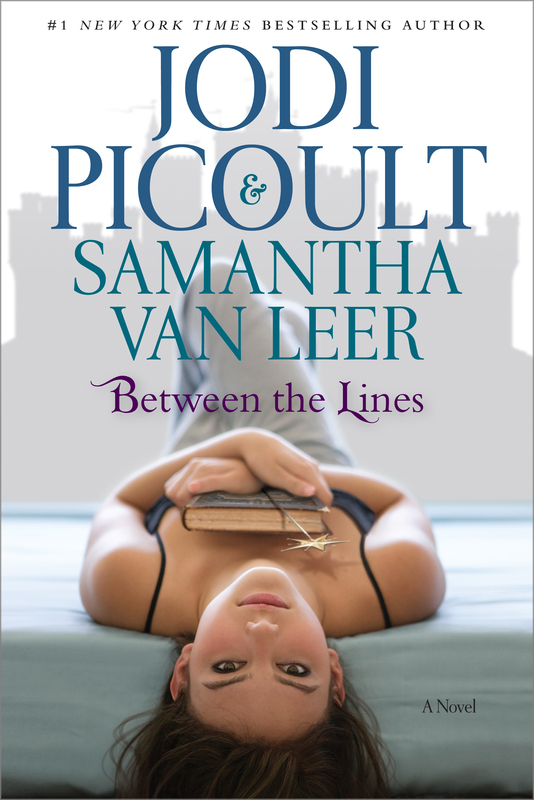 In this delightful companion novel to Off the Page, #1 New York Times bestselling authors Jodi Picoult and her daughter and cowriter, Samantha van Leer, present a novel filled with romance, adventure, and humor in a story you’ll never forget. Once, a Reader—a very young one—knocked the book over and it fell open on a page that has no one but me written into it. For a full hour, I watched the Other-world go by. These giants stacked bricks made of wood, with letters written on their sides, creating monstrous buildings. They dug their hands into a deep table filled with the same sort of sand we have on Everafter Beach. They stood in front of easels, like the one Rapscullio likes to use when he paints, but these artists used a unique style—dipping their hands into the paint and smearing it across the paper in swirls of color. Finally, one of the Others, who looked to be as old as Queen Maureen, leaned forward and frowned. “Children! This is not how we treat books,” she said, before shutting me out. When I told the others what I had seen, they just shrugged. Queen Maureen suggested I see Orville about my strange dreams and ask for a sleeping potion. Frump, who is my best friend both inside the story and out, believed me. “What difference does it make, Oliver?” he asked. “Why waste time and energy thinking about a place or a person you’ll never be?” Immediately I regretted bringing it up. Frump wasn’t always a dog—he was written into the story as Figgins, my best buddy from childhood, who was transformed by Rapscullio into a common hound. Because it’s only a flashback of text, the only time he’s ever read he’s seen as a dog—which is why he stays in that form even when we’re offstage. Frump captures my queen. “Checkmate,” he says. “Why do you always beat me?” I sigh. When we’re working, Frump doesn’t speak—he just barks. He follows me around like, well, a faithful pup. You’d never guess, when he’s acting, that in real life he’s always bossing the rest of us around. “Did you call me?” Socks trots closer. He’s my trusty steed, and again, a shining example of how what you see isn’t always what’s true. Although he snorts and stamps with the confidence of a stallion on the pages of our world, when the book is closed he’s a nervous mess with the self-confidence of a gnat. “It was just an expression,” Frump says. “No,” I say immediately, as Frump vigorously shakes his head. “You look great, Socks,” I insist. “Honestly.” But he tosses his mane and sulks back toward the other side of the beach. Maybe he’s right, maybe it is just me. Everyone else in this book seems to be perfectly happy with the fact that they are part of a story; that they are enslaved into doing and saying the same things over and over, like in a play that gets performed for eternity. They probably think that the people in the Otherworld have the same sorts of lives we do. I guess I find it hard to believe that Readers get up at the same hour every morning and eat the same breakfast every day and go sit in the same chair for hours and have the same conversations with their parents and go to bed and wake up and do it all over again. I think more likely they lead the most incredible lives—and by incredible, I mean: with free will. I wonder all the time what that would be like: to feel the book opening yet not beg the queen to let me go on a quest. To avoid getting trapped by fairies and run ragged by a villain. To fall in love with a girl whose eyes are the color of honey. To see someone I don’t recognize, and whose name I don’t know. I’m not fussy, really. I wouldn’t mind being a butcher instead of a prince. Or swimming across the ocean to be hailed as a legendary athlete. Or picking a fight with someone who cuts in front of me. I wouldn’t mind doing anything other than the same old things I have done for as long as I can remember. I guess I just have to believe there’s more to the world than what’s inside these pages. Or maybe it’s just that I desperately want to believe that. She blows me a kiss, and I force a smile. She’s pretty, I suppose, with her silver hair and eyes the color of violets in the meadow near the castle. But her shoe size is bigger than her IQ. For example, she honestly believes that just because I save her over and over again as part of my job, I must truly have feelings for her. I’ll be honest, it’s not a hard day’s work to kiss a beautiful girl repeatedly. But it all starts feeling same old, same old after a while. I certainly don’t love Seraphima, but that little detail seems to have escaped her. Which makes me feel guilty every time I kiss her, because I know she wants more from me than I’m ever going to give her when the storybook’s closed. As if he’s conjured it, there is suddenly a blinding light, and our sky cracks open along a seam. “Places!” Frump cries, frantic. “Everyone! Into your positions!” He runs off to help the trolls dismantle the bridge, only so that they can rebuild it again. I grab my tunic and my dagger. The fairies who were our chess pieces rise like sparks and write the words SEE YOU LATER in the air before me, a trail of light as they zoom into the woods. “Yes, and thanks again,” I say politely, intent on hurrying to the castle for my first scene. What would happen, I wonder, if I was late? If I dawdled or stopped to smell the lilacs at the castle gate, so that I wasn’t in place when the book was opened? Would it stay sealed shut? Or would the story start without me? Experimentally, I slow my pace, dragging my heels. But suddenly I feel a magnetic tug on the front of my tunic, propelling me through the pages. They rustle as I leap through them, my legs moving in double time while I stare down, amazed. I can hear Socks whinnying in his stall at the royal stables, and the splash of the mermaids as they dive back into the sea, and suddenly, I am standing where I am supposed to be, before the royal throne in the Great Hall, at dispute court. “It’s about time,” Frump mutters. At the last moment there is a brilliant slice of light that opens above us, and instead of looking away like we usually do, this time I glance up. I can see the Reader’s face—a little fuzzy at the edges, sort of how the sun looks from the ocean floor. And just like when one stares at the sun, I can’t make myself turn away. So I turn away from those eyes, the exact color of honey; from that mouth, its lips parted just the tiniest bit, as if she might be about to speak my name. I turn away, and clear my throat, and for the hundred billionth time in my life, I speak my first line of the story. I did not write the lines I speak; they were given to me long before I remember. I mouth the words, but the actual sound is in the Reader’s mind, not coming from my throat. Similarly, all the moves that we make as if we’re performing a play somehow unravel across someone else’s imagination. It is as if the action and sound on our tiny, remote stage are being broadcast in the thoughts of the Reader. I’m not sure that I ever really learned this information—it’s just something I’ve known forever, the same way I know that when I look at the grass and associate it with a color, I know that color is green. I let Rapscullio convince me that he is a nobleman from afar whose beloved daughter has been kidnapped—a speech I’ve heard so often that occasionally, I murmur the words along with him. In the story, of course, he has no daughter. He’s just setting a trap for me. But I’m not supposed to know that yet, even though I’ve played this scene a thousand times. So while he is going on and on about the other princes who won’t rescue Seraphima, I think about the girl who is reading us. I’ve seen her before. She’s different from our usual Readers—they’re either motherly, like Queen Maureen, or young enough to be captivated by tales of princesses in peril. But this Reader looks—well, she looks to be about my age. It doesn’t make any sense. Surely she knows—like I do—that fairy tales are just stories. That happy endings aren’t real. Frump waddles across the polished black-and-white marble floor, his tail wagging vigorously as he skids to a halt beside me. From time to time, I’ve heard Readers talking. They don’t usually read out loud, but every now and then, a conversation occurs when a book is open. I’ve learned quite a lot from being a good listener. Like, for example, Don’t let the bedbugs bite is apparently a common way to say good night, even in rooms that do not appear to be infested with insects. I’ve learned about things the Otherworld has that we don’t: television (which is something parents do not like as much as books); Happy Meals (apparently not all meals bring joy. Just the ones that come in a paper bag with a small toy); and showers (something you take before bedtime that leaves you drenched). “Just let me finish,” the girl says. I have heard this Reader speaking to the older woman before. From their conversations, I’m guessing it’s her mother. She is always telling Delilah to put the book away and go outside. To take a walk and get some fresh air. To call a friend (though how many could be within earshot?) and go to a movie (whatever that is). Repeatedly, I wait for her to heed her mother’s directions—but most of the time she finds an excuse to keep reading. Sometimes she does go outside, but opens the book and starts reading again. I cannot tell you how frustrating this is for me. Here I am, wasting away inside a book I wish I could escape, and all she wants to do is stay in the story. If I could talk to this girl Delilah, I’d ask her why on earth she would ever trade a single second of the world she’s in for the one in which I’m stuck. But I’ve tried talking out loud to other Readers. Believe me, it was the very first thing I attempted when I started to actively dream about life in the Otherworld. If I could just get one of those people holding the book to notice me, maybe I’d have a chance at escaping. However, the people holding the book see me only when the story is playing, and when the story is playing, I am compelled to stick to the script. Even when I try to say something like “Please! Listen to me!” I wind up announcing, instead, “I’m on my way to rescue a princess!” like some sort of puppet. If I ever had reason to believe that a Reader could see me for who I really am—not who I play in the story—I’d do, well, anything. I’d scream at the top of my lungs. I’d run in circles. I’d light myself on fire. Anything, to keep her seeing me. Can you imagine what it would be like to know that your life was just going to be a series of days that were all the same, that were do-overs? As Prince Oliver, I may have been given the gift of life… but I have never been given the chance to live. “Coming,” Delilah says over her shoulder, and I exhale heavily, a breath I hadn’t even realized I was holding. The thought of not having to go through the motions again—it’s a gift, an absolute gift. There is a dizzying whirl of gravity as the book starts to close, something we’ve all gotten used to. We grab on to details—candelabra and table legs and in some desperate cases, the hanging tail of a letter like g or y, until the pages are completely closed. Before I can finish, however, I find myself flying head over heels as the pages are riffled through, and our world reopens on the very last bit of the story. As if by magic, and Seraphima is glittering beside me in her shimmering gown. Frump has a wedding band tied to a silver ribbon around his neck. The trolls are holding the pillars of a bridal bower; the pixies have spun silken ribbons that wrap around them and blow in the sea breeze. The mermaids gather in the shallows of the ocean, watching us bitterly as we wed. I glance down, and suddenly panic. The chessboard. It’s still there. The pixie chess pieces are gone, certainly, but the squares I drew with a stick—the proof that there is life in this book when no one is reading it—are still carved onto the beach. I don’t know why the book hasn’t reset itself. It never makes mistakes like this; every time we are flipped to a new page we will find ourselves ready, in costume, with any necessary set in place. Maybe, for all I know, this has happened before and I never noticed it. But it stands to reason that if I noticed, someone else might too. Deep breaths, Oliver, I tell myself. “Frump,” I hiss. He growls, but I can understand him clearly: Not now. Okay, Oliver, I tell myself. This is not a disaster. People read a fairy tale for the happy ending, not to hunt for a faintly visible chessboard scratched into the sand on the final page. Still, I try to pull Seraphima toward me in an attempt to hide the chessboard beneath the fabric of her billowing dress. Seraphima, however, misinterprets this to mean that I might actually want to get closer to her. She tilts up her chin and her eyes flutter closed, waiting for her kiss. Everyone’s waiting. The trolls, the fairies, the mermaids. The pirates with their anchor lines tightly wrapped around Pyro the dragon to keep him subdued. The Reader is waiting too. And if I give her what she wants, she’ll close the book and that will be that. I lean forward and give Seraphima a kiss, winding my hands in her hair and pulling the length of her body along mine. I can feel her melt beneath my touch, leaning into me. She may not be my type, but there’s no reason I shouldn’t enjoy myself at work, after all. As the girl leans closer, the sky darkens above us. “How strange,” she murmurs. Her finger comes down, pushing at the edges of our world, bending the scenery even as we stand in it. I draw in my breath, thinking she is going to trap me, but instead, she touches the very spot where the chessboard is etched onto the sand. Everyone says so. I suppose it’s because while other fifteen-year-olds are talking about the best lip gloss and which movie star is hotter, I would rather be curled up with a book. Seriously—have you been to a high school lately? Why would anyone sane want to interact with Cro-Magnon hockey players, or run the gauntlet of mean girls who lounge against the lockers like the fashion police, passing judgment on my faded high-top sneakers and thrift-store sweaters? No thanks; I’d much rather pretend I’m somewhere else, and any time I open the pages of a book, that happens. My mom worries about me because I’m a loner. But that’s not entirely true. My best friend, Jules, totally gets me. It’s my mom’s fault that she can’t see past the safety pins Jules sticks through her ears and her pink Mohawk. The cool thing about hanging around with Jules, though, is that when I’m with her, nobody even looks twice at me. Jules understands my fixation on books. She feels the same way about B-movie horror films. She knows every single line of dialogue in The Blob. She refers to the popular girls in our school as Pod People. Jules and I are not popular. In fact, I am pretty much banned from ever being popular or, for that matter, within a hundred feet of anyone popular. Last year when we were playing softball in gym, I swung the bat and broke the left knee of Allie McAndrews, the head cheerleader. Allie had to stay off the top of the pyramid for six weeks and accepted her prom queen crown on crutches. The worst part was I completely missed the ball. Anyone who didn’t hate me before the Injury suddenly had a reason to ignore me or sneer at me or slam me against a locker when we passed in the halls. Except Jules, who moved here a week after it happened. When I told her why I was a social pariah, she laughed. “Too bad you didn’t break them both,” she said. Jules and I have no secrets. I know that she is addicted to soap operas, and she knows that my mother is a cleaning lady. There’s only one thing I haven’t told Jules, and that’s the fact that for the past week, the reason I’ve avoided her is that I’m embarrassed by my choice of reading material. A fairy tale written for elementary school kids. If you think it’s social suicide to literally bring the head cheerleader to her knees, you should try reading a children’s book in plain sight in a high school. If you read Dostoyevsky, you’re weird but smart. If you read comic books, you’re weird but hip. If you read a fairy tale, you’re just a dork. I discovered this story a month ago, when I was eating lunch quietly in the school library. There I sat, chewing on a peanut butter and Fluff sandwich, when I noticed that one book on the shelf was upside down and backwards, as if it had been jammed in. Figuring I could help Ms. Winx, the librarian, I went to fix it, and got an enormous electric shock to the tips of my fingers. The book was tattered and the spine was shaky—I would have thought that by now it would have made its way to the annual sale, where you could buy old novels for a dime each. It was illustrated—clearly a fairy tale—but it was shelved with nonfiction books about World War I. And strangest of all, it didn’t have a bar code to be checked out. I looked down at the cover—Between the Lines, by Jessamyn Jacobs. I checked it out that first day, and while I was in Earth Science class, I hid the fairy tale inside my textbook and read it from cover to cover. It’s about a prince, Oliver, who goes on a quest to rescue a princess, who’s been taken hostage by the evil Rapscullio. The problem is that Oliver, unlike most fairy-tale princes, isn’t a big fan of taking risks. His father died in battle, and as far as he’s concerned, it’s far better to be safe than sorry. I think that’s what made me keep reading. The very first thing you learn about Oliver is that it wasn’t easy growing up without a dad. It was as if the words had been taken straight from my mouth. My father had not died in battle, but he’d left my mother when I was ten years old and found himself a new, improved family. She cried every night that year. I was a straight-A student—not because I loved school but because I didn’t want to be one more person who disappointed my mother. We had to move to a small house and my mom had to work hard cleaning the homes of the girls who treated me like pond scum. True confessions time: Oliver is cuter than any guy in my school. Granted, he is two-dimensional and illustrated. Don’t judge me—go take a look at Wolverine in an X-Men comic and tell me he isn’t hot. With his jet-black hair and pale eyes, it seems that Oliver is smiling up from the page directly at me. Clearly, any normal girl would take this as a sign that she needs to get out more. But me, I don’t have too many places to get to. Plus, he is smart. He conquers one obstacle after another—not with his sword but with his cleverness. For example, when he is held captive by a trio of creepy, boy-crazy mermaids, he promises to get them dates in return for a pack of supplies—flotsam and jetsam that had washed into the ocean after shipwrecks. He uses that junk—other people’s garbage—to rescue himself from the snares of the fiery dragon that had killed his own father. He’s not your typical prince, more like a square peg in a round hole, kind of like me. He’s the sort of guy who wouldn’t mind reading side by side on a date. And he knows how to kiss, unlike Leonard Uberhardt, who practically tried to swallow me whole behind the jungle gym in seventh grade. That first week, I read the book so often that I memorized the words; I knew the layout of the pictures on the pages. I dreamed that I was being chased by Rapscullio or forced by Captain Crabbe to walk the plank. Each week, I’d bring the book back to the library, because that was school policy. I’d have to wait until it was returned to the shelf a day later, giving someone else a chance to read it. But what other ninth grader cares about fairy tales? The book was always waiting for me, so I could check it out again and reconfirm my position as Public Loser Number One. My mother worried. Why was a girl like me, who could easily read thousand-page adult novels, obsessed with a children’s book? I knew the answer to that, not that I was about to admit it to anyone. Prince Oliver understood me better than anyone in the world. True, I’d never met him. And true, he was a fictional character. But he also was what people needed him to be: a dashing hero, an articulate peacemaker, a cunning escape artist. Then again, Prince Oliver had never existed anywhere but on a page, and in some random author’s brain. He didn’t know what it was like to be stuffed into a locker by the cheerleading squad and left there until some janitor heard me yelling. Today, I decide as I wake up and stare at the ceiling, is going to be different. First thing, I am going to return the book to the library. In my English journal, I’ll write down that I’ve been reading The Hunger Games for my outside reading requirement (like 98 percent of the ninth grade), and I’ll explain why I am Team Peeta instead of Team Gale. I’ll tell Jules that we should go to the Rocky Horror marathon at the cheap theater this weekend. Then in Earth Science I’ll finally get enough courage to go talk to Zach, my vegan lab partner who insists on feeding tofu crumbles to the class Venus flytrap, and who probably will save the whales before he turns twenty-one. Yes, today is the day everything is going to change. I get up and take a shower and get dressed, but the fairy tale is sitting on my nightstand where I left it before I went to bed. This must be what an addict feels like, I think, trying to fight the pull of one last, quick read. My fingers itch toward the binding, and finally, with a sigh of regret, I just grab the book and open it, hungrily reading the story. But this time, something feels wrong. It is like an itch between my eyebrows, a wrinkle in my mind. Frowning, I scan through the dialogue, which is all the way it should be. I glance at the illustration: the prince sitting on a throne, his dog waiting beside him. I flip through the book to the final page. When I see it, I can’t believe I haven’t noticed it before. Just to the left of Princess Seraphima’s glittering gown, drawn into the sand, is a grid. Sort of like a bingo chart. Or a chessboard. When my mother uses my middle name, it means she’s really angry. I close the book and tuck it into my backpack, then hurry downstairs to scarf down breakfast before I am dropped off at school. She turns and looks at me, head tilted as if she is trying to figure out if I am lying or crazy or both. “You need to get more sleep, Delilah,” she announces. But it’s not something I overlooked. I know it. The whole way to school, my backpack sits on my lap. My mother and I talk about things that don’t matter—what time she is coming home from work; if I’m ready for my Algebra test; if it’s going to snow—when all I can focus on is that faint little chessboard scratched into the sand of the beach on the last page of the fairy tale. The school’s current “it” couple, Brianna and Angelo—or BrAngelo, as they’re known—are wrapped in each other’s arms across my locker. “I’m gonna miss you,” Brianna says. “I’m gonna miss you too, baby,” Angelo murmurs. For Pete’s sake. It’s not like she’s leaving on a trip around the world. She’s only headed to homeroom. I don’t realize I’ve said that out loud until I see them both staring at me. “Get a life,” Brianna says. They leave with their arms around each other, hands tucked into each other’s rear jeans pockets. The worst part is, it’s true. I wouldn’t know what true love feels like if it hit me between the eyes. Given my mother’s experience with romance, I shouldn’t even care—but there’s a part of me that wonders what it would be like to be the most important person to someone else, to always feel like you were missing a piece of yourself when he wasn’t near you. I hesitate. I’ve hidden my fairy-tale obsession from Jules, but if anyone is going to believe me when I say that a book changed before my eyes, it’s going to be my best friend. I blush. At 3:00 A.M. during our last sleepover, I confessed to her that I thought Zach from my Earth Science class was possible future boyfriend material. Mallory Wegman had hooked up with so many guys in our class that her nickname was the Fisherman. I let this news sink in, and the fact that I had thought about Zach this morning before reading my book, which seemed a thousand years ago. “Must have been some really good beef,” I murmur. For a second, I try to mourn Zach, my potential crush, who now has someone real, but all I’m thinking of is Oliver. “I have to tell you something,” I confess. Jules looks at me, suddenly serious. Prince? Yup, standing right where he usually is. It was there less than a half hour ago, and suddenly it’s gone. I can feel myself breaking out in a cold sweat. I close the book and then open it again; I blink fast to clear my eyes. I stuff the book into my backpack again and close my locker. “I, um, have to go,” I say to Jules, shoving past her as the bell rings. Just so you know, I never lie. I never steal. I never cut class. I am, in short, the perfect student. Which makes what I am about to do even more shocking. I turn in the opposite direction and walk toward the gymnasium, although I am supposed to be in homeroom. He smiles at me. He doesn’t expect me to be cutting class either. “Oh,” the principal says. “Excellent!” He waves me on. For a moment I just stare at him. Is it really this easy to become someone I’m not? Then I break into a run. I don’t stop until I have reached the locker room. I know it will be empty this early in the morning. Sitting down on a bench, I take the book from my backpack and open it again. Real fairy tales are not for the fainthearted. In them, children get eaten by witches and chased by wolves; women fall into comas and are tortured by evil relatives. Somehow, all that pain and suffering is worthwhile, though, when it leads to the ending: happily ever after. Suddenly it no longer matters if you got a B– on your midterm in French or if you’re the only girl in the school who doesn’t have a date for the spring formal. Happily ever after trumps everything. But what if ever after could change? It did for my mom. At one point, she loved my dad, or they wouldn’t have gotten married—but now she doesn’t even want to speak to him when he calls me on my birthday and Christmas. Likewise, maybe the fairy tale isn’t accurate. Maybe the last line should read something like What you see isn’t always what you get. There is still no chessboard on the sand. I start flipping through the pages furiously. In most of them, Prince Oliver is in the company of someone or something—his dog, the villain Rapscullio, Princess Seraphima. But there is one illustration where he is all alone. It comes toward the end of the story, after he’s outsmarted the dragon Pyro and left the beast in the care of Captain Crabbe and the pirates. Afterward, as the pirates load the dragon onto the ship, Oliver is left alone on the shore looking up the cliff wall at the tower where Seraphima is being imprisoned. In the picture on page 43, he starts to climb. I lift the book closer so that I can see Oliver more clearly. He is drawn in color, his jet-black hair ruffled by the breeze, his arms straining as he scales the sheer rock face. His bottle green velvet tunic is tattered: singed from Pyro’s fiery breath and torn from his escape from shackles on the pirate ship. His dagger is clenched between his teeth so that he can grasp the next ledge. His face is turned toward the ocean, where the ship slips into the distance. I think the reason I love this illustration so much is the expression on his face. You’d expect, at that moment, he’d be overcome by fierce determination. Or maybe shining love for his nearby princess. But instead, he looks… well… like something’s missing. Like he’d almost rather be on that pirate ship. Or anywhere but where he is, on the face of the rocky cliff. Like there’s something he’s hiding. I lean forward, until my nose is nearly touching the page. The image blurs as I get close, but for a moment, I’m positive that Oliver’s eyes have flickered away from the ocean, and toward me. “I wish you were real,” I whisper. On the loudspeaker in the locker room, the bell rings. That means homeroom is over, and I have to go to Algebra. With a sigh, I set the fairy tale down on the bench, still cracked open. I unzip my backpack and then pick the book up again. Oliver is still climbing the sheer rock wall. But the dagger clenched between his teeth is now in his right hand. Steel to stone, its sharp tip scratches the faintest of white lines into the dark granite, and then another, and a third. I rub my eyes. This is not a Nook, a Kindle Fire, or an iPad, just a very ordinary old book. No animation, no bells and whistles. Drawing in my breath, I touch the paper, that very spot, and lift my finger again. Two words slowly appear on the surface of the rock wall. If you could choose living in a predictable world, where you knew the outcome of every event, would you choose it, and why? Who is Prince Oliver and why is he unhappy? What is his character flaw and how does it impact his life and world? Why does Prince Oliver set out to rescue Seraphima, and how does he compensate for his character flaw? Are Prince Oliver and Seraphima a good match? Why or why not? How is she unlike Prince Oliver? Why does Delilah read the fairy tale repeatedly? How is her world different from Prince Oliver’s? How does the reader learn that Prince Oliver knows there is a world “beyond the fairy tale”? How does he first come to know about this outside world? Why does Prince Oliver want out of the fairy tale? How does he get the attention of Delilah, and what is her initial response? Delilah and Prince Oliver develop romantic feelings for each other. Why do you think they are attracted to one another? What commonalities draw them together? What differences? Why does Prince Oliver attempt to remove the spider from the story? What happens when the spider enters Delilah’s world? Identify the following fairy tale characters and explain how they are alike, or different from, the characters they play in the fairy tale: Rapscullio, Seraphima, Queen Maureen, and the mermaids. Frump is Prince Oliver’s best friend. What is his backstory and what role does he play in the fairy tale? Socks is Prince Oliver’s trusty steed. How does Socks add humor to the story? Cite examples. Who is Jessamyn Jacobs and why does Delilah take an unplanned trip to her house? What happens when Delilah arrives there? In what ways are Prince Oliver and Edgar alike? How are they different? How is Prince Oliver’s wish finally answered? Is the result a fitting end to the story? Explain. The story takes place in three worlds: the fairy tale in which Prince Oliver is the key player, Prince Oliver’s “real” life outside the fairy tale, and Delilah’s world outside the story. Describe each world. How are they alike and how are they different? How do the authors weave the three worlds together? For example, what structural and stylistic devices, language, and events do the authors use to connect the three worlds? What techniques do they use to signal a transition from one world to the other? Delilah has a best friend who plays a minor role in the story. Why did the authors choose to keep her friend’s role to a minimum? What does the friend add to the story? This novel is structurally complex. Explain how the authors use different points of view to tell the story. Why are multiple perspectives needed? Readers see the fairy tale characters playing out private lives. How are readers able to see them having their own lives? What situation has to occur so that readers can see their private worlds? Jessamyn Jacobs refuses to rewrite the ending of the story. Why does she refuse, and how would the story have been different had she agreed? Would the story have been better? Explain. Prince Oliver and Delilah try several strategies in an effort to remove Prince Oliver from the book. Outline each strategy they try and explain the results. Delilah is, at first, infatuated by the fairy tale. What event helps her become more thankful for the world in which she lives? In what way does this book defy traditional genre classification? Describe the relationship between Delilah and her mother. Do Delilah and her mother respect one another? Support your response(s) with evidence from the text. Why does Delilah’s mother worry about Delilah? Should she worry? Explain. Is Delilah concerned about her mother? Why or why not? Delilah feels like an outcast at school. Does her mother understand Delilah’s feelings about school and friends? What could her mother do better to connect with Delilah and to help her fit in better? What positive characteristics as a mother does Delilah’s mother possess? What weaknesses? How does the fairy tale provide a discussion on stereotypical roles of men and women in society? In what way are these roles inaccurate? What information does Delilah’s mother need to understand her daughter better? If she possessed this information, does Delilah’s mother have the capacity to build a better relationship with her? Support your response with information from the text. Do Prince Oliver and Queen Maureen have a better relationship than Delilah and her mother? Cite evidence from the text to support your answer. Does society paint a realistic picture of marriage? Why or why not? Some argue that a child raised in a home with two parents is better off than a child raised by a single parent. How might this statement not be true? Think of other books or fairy tales that you enjoyed reading. Which characters would you want to become real, and why? How might reading a story like Between the Lines together provide mothers and daughters with a vehicle for getting to know one another better? What other novels might serve a similar purpose and why would you recommend them? 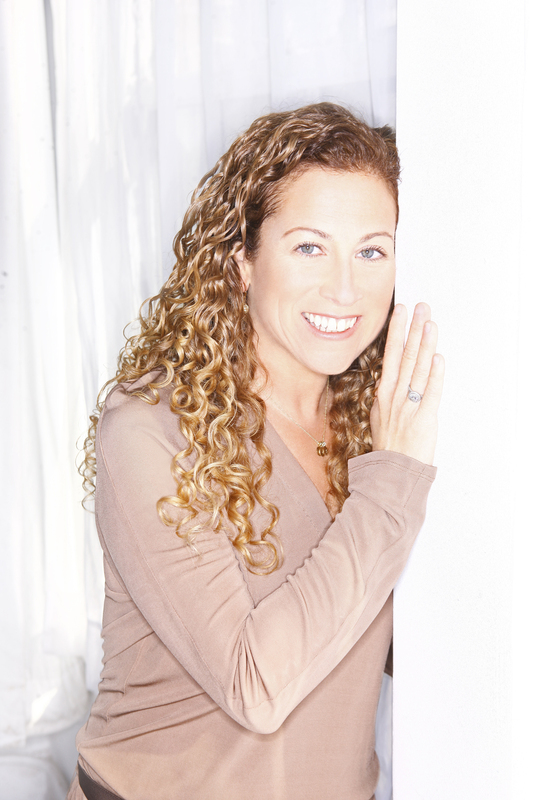 "An exceedingly clever concept that would be challenging to pull off, if not for the deep understanding of character, plot and pacing provided by Picoult... Conceptually, "Between the Lines" is reminiscent of the "Toy Story" movies... An exploration of the nature of escapism that asks whether reality is any more real than make-believe, "Between the Lines" will delight readers of all ages whose imaginations willfully blur that distinction."